Croke Park has been at the heart of Irish sport and culture for over 100 years. 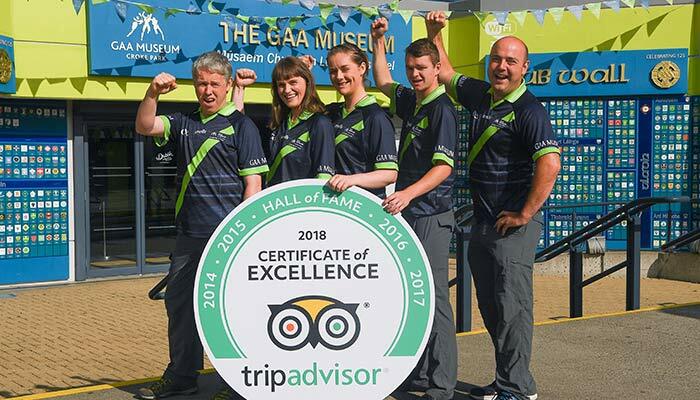 The iconic stadium and visitor experiences, famed as the headquarters of the GAA where All-Ireland dreams are played out in dramatic fashion, are already major Irish visitor attractions and are listed in the top 10 things to see and do in Dublin on TripAdvisor. Reviews from Irish and international visitors heap praise on the attractions for being so much more that an insight into our unique national games. The tours are credited for being an immersive Irish cultural experience that gets to the very heart of Irish history, sport and culture. Many international visitors say that it gave them a real understanding of who we are as a people and the Irish way of life. The warm and vivid storytelling of the tour guides is always a highlight for visitors. 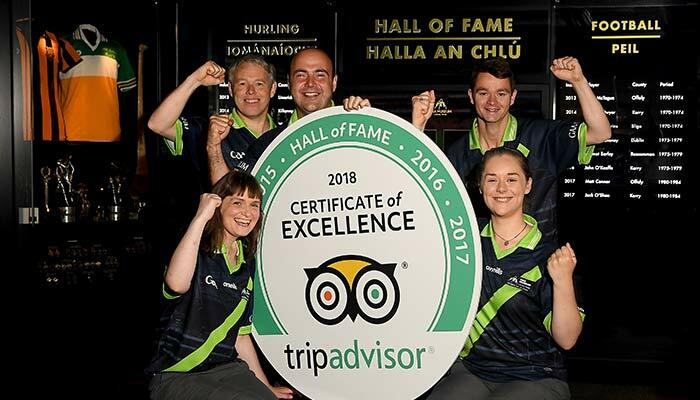 Joining an elite group of ‘Hall of Fame’ recipients dotted across the globe, who have continually delivered a superior quality customer experience, is expected to drive even more domestic and international visitors to the iconic attraction this year. See what all the fuss is about and take a trip with your family before the schools go back! Croke Park Stadium Tour: Go behind-the-scenes on the access-all-areas tour. Highlights include taking a seat in the VIP area, getting a birds-eye view from the media centre, sneaking a peek inside the dressing rooms, and of course, walking in the footsteps of legends as you go pitchside through the players tunnel! Ericsson Skyline Tour: You haven’t seen Dublin until you’ve seen it from here. Discover breathtaking panoramic views of the capital form the mountains to the sea from the rooftop walkway of Croke Park - 17 storeys above the ground! GAA Museum: Immerse yourself in the spine-tingling and completely unique story of Gaelic games form ancient times to the present day. Admission to the GAA Museum is included with either tour. Check out the special programme of anniversary events for its 20th birthday celebrations this year.